The fermentation adventures continue! It has been some time since I first fermented rice a few years ago. Since then, I have learned a few tricks of the trade. Although I have already written about fermenting rice, here I am going to share with you my latest tips and directions on how to make amazaké using a rice cooker. 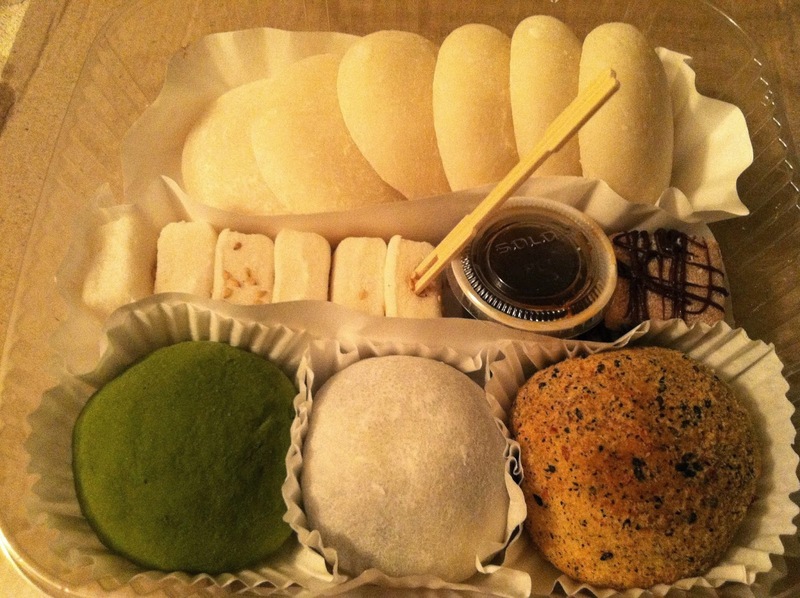 Amazaké (also spelled amasake) literally means "sweet sake," although it does not contain alcohol. Amazaké is a sweet rice drink, made with rice that is fermented with koji. Koji is cultured grain inoculated with spores of Aspergillus oryzae, which is a fungus (a mold). 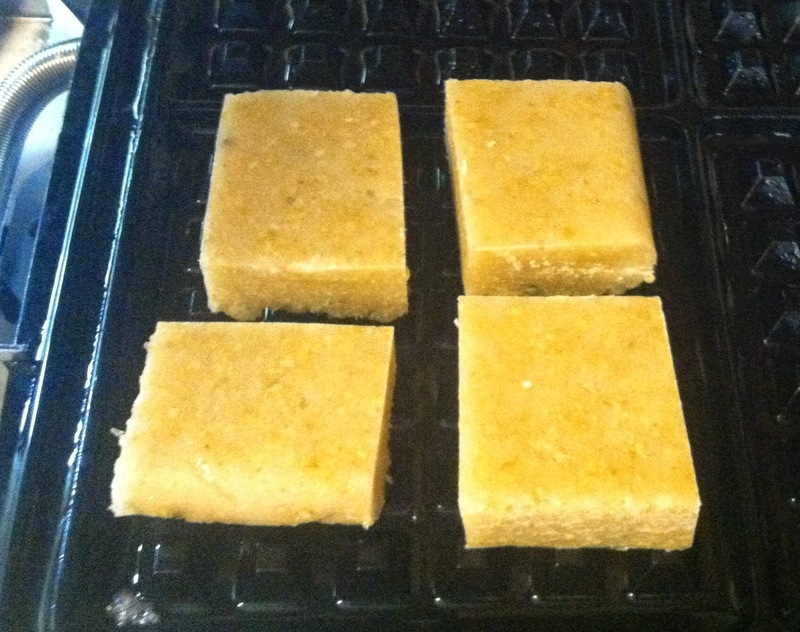 Koji can be used to ferment other foods besides amazaké, including miso, sake, and rice vinegar. 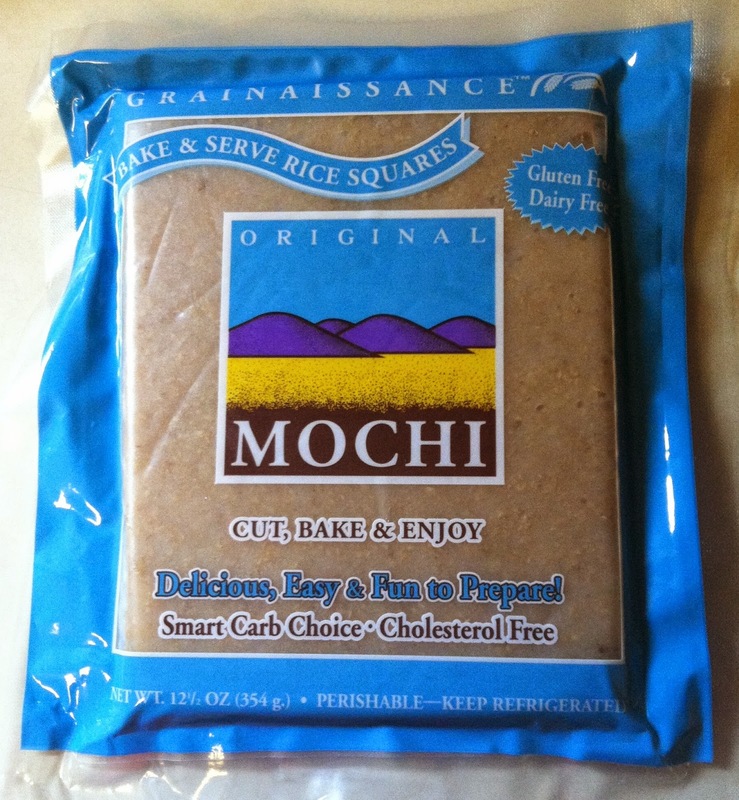 I purchased organic brown rice koji (and a few other goodies!) online from South River Miso, a local company based in Conway, MA. The koji room at South River Miso, where koji is incubated. This photo was taken when I toured the company in 2012. 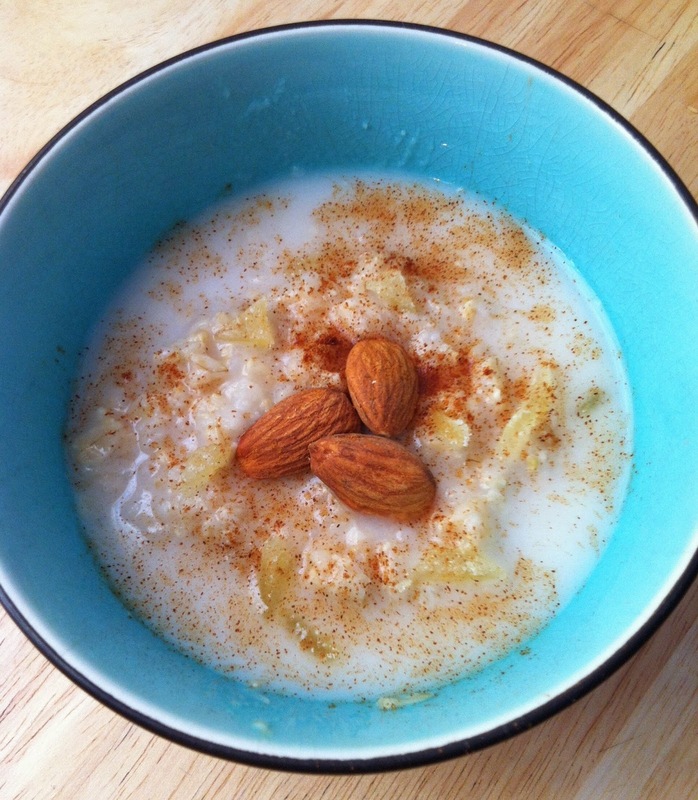 Besides being nutritious, amazaké is delicious, and fun and easy to make! Not sure if you like amazaké? 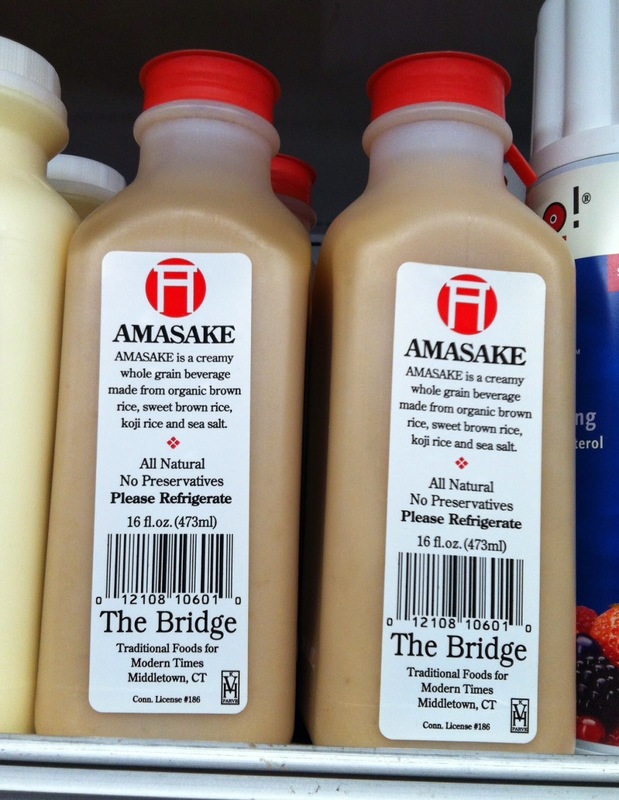 You can find amazaké sold at Whole Foods Market if you would like to try it first. Here are my latest directions on how to make amazaké using a rice cooker, inspired by South River Miso's amazaké recipe. As with all recipes, you will find different instructions for how to make amazaké if you look at other sources. 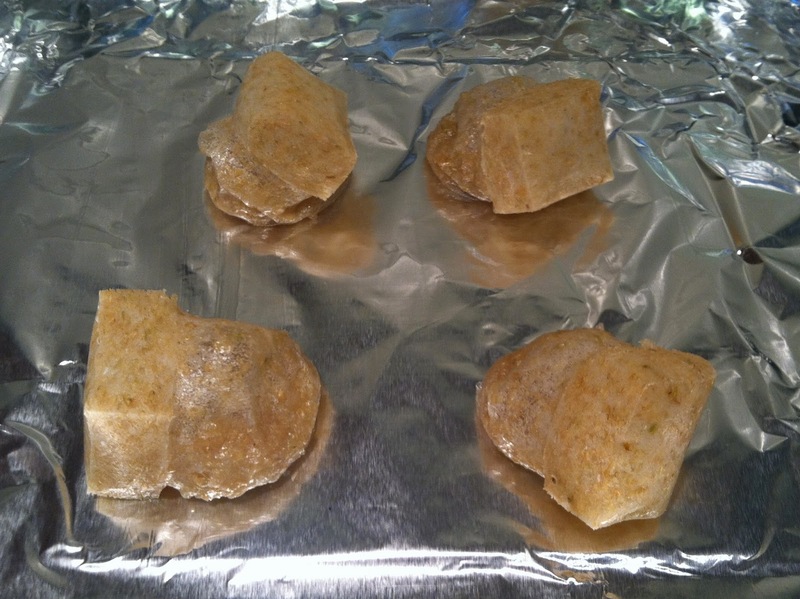 *Please note that this recipe may be scaled proportionally, to make as much or as little amazaké as you would like. Cook the rice according to your rice cooker's instructions. I cook 1 cup brown rice with 2 cups of water. Do not add salt. After the rice is cooked, mix the rice. Add 1 cup of water to the rice and mix this in as well. Check the temperature of the rice. The temperature should be under 140°F. Give the rice time to cool down with the cover removed if necessary. When the rice has cooled down to under 140°F, mix in the koji. Adding more koji to the ratio will make the amazaké sweeter. Keep the rice and koji mixture warm as it ferments. In the book "Wild Fermentation," Sandor Ellix Katz notes that the rice can ferment at temperatures in-between 90°F - 140°F. However, South River Miso recommends fermenting the rice in-between 115°F - 130°F. The higher the temperature, the faster the rice will ferment. 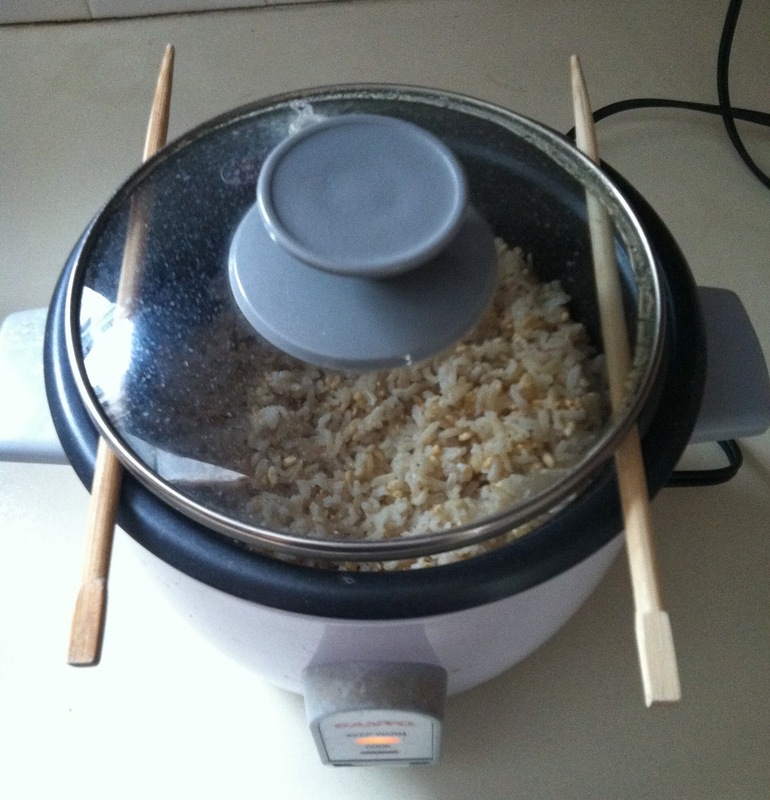 To keep the rice warm, I found it effective to prop the rice cooker cover on top of chopsticks, and to keep the rice cooker on the "keep warm" function. The temperature of the mixture was around 137°F with this method, and this worked out well for me. Ferment the rice for 5-8 hours or so. If you are fermenting the rice at a lower temperature, you may also ferment the rice overnight or for up to 24 hours. The rice will get sweeter the longer it ferments. It helps to occasionally mix the rice around every hour or so if possible. This helps to prevent the top layer from drying out. During the fermentation process, enzymes secreted by Aspergillus oryzae break down some of the complex carbohydrates in the rice into simple sugars, which is how amazaké becomes sweet. As the rice ferments, it will begin to taste and smell sweet, and it may develop a liquid consistency. When the rice tastes to your liking, add and mix in 1 cup water (or more if desired) to the fermented rice. 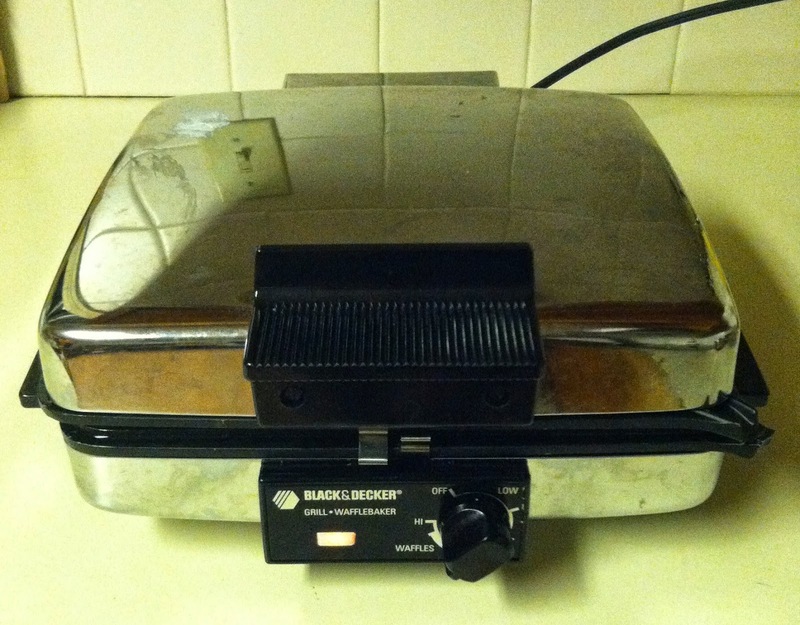 Turn the rice cooker on the "cook" function for around 15 minutes, with the cover removed. Mix the rice constantly to prevent it from sticking to the bottom. Heating up the rice at a higher temperature with the "cook" function will stop the fermentation process, preventing the sugars from eventually turning into alcohol. Enjoy amazaké hot or cold. 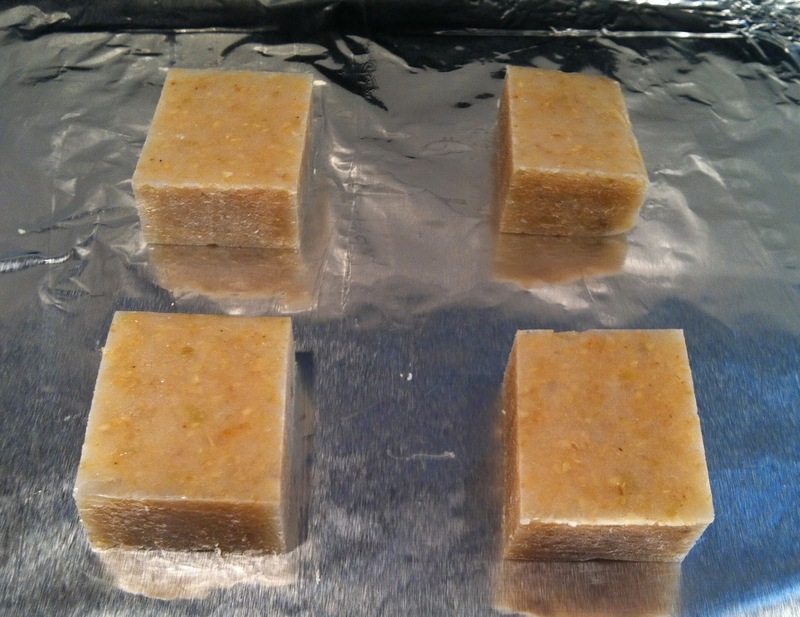 Amazaké can be stored in the refrigerator, and should keep for at least two weeks or more. My amazaké usually turns out thick like porridge. However, you will often see amazaké served as a beverage. If your amazaké is not thin enough to serve as a drink, water or any type of vegan "milk" can be added to it, and blended to create a drink. 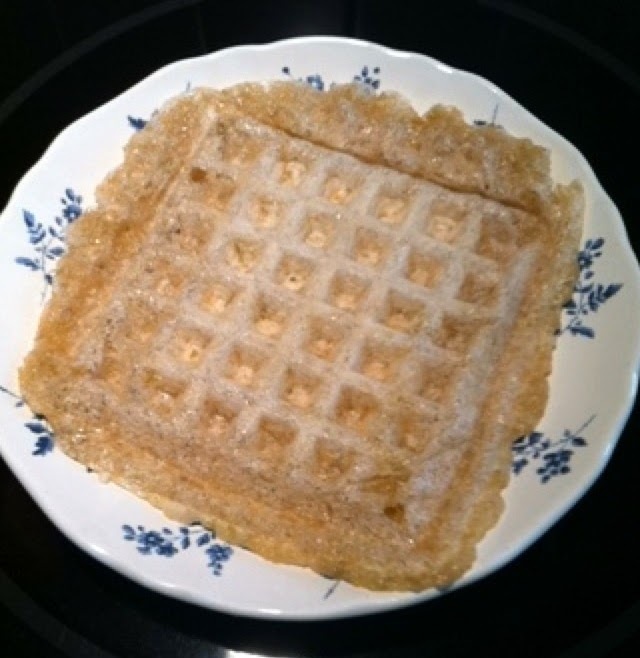 Amazaké can also be used as a sweetener substitute. Try fermenting other grains with koji, such as millet. Interested in fermentation beyond amazaké? Stay tuned to Boston Ferments if you live in the Boston area, and mark your calendars for the next Boston Fermentation Festival on September 27, 2014! 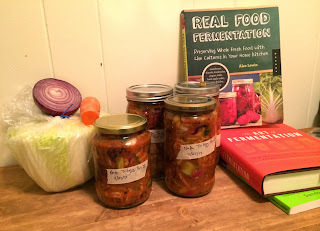 After attending the Boston Fermentation Festival last September, I've had fermentation fever! Benefits of fermented foods abound. Fermented foods provide beneficial bacteria, preserve and sometimes enhance the nutrients in foods, and more. Lately I have enjoyed making (and eating) kimchi. Kimchi is a traditional fermented Korean vegetable dish, often made with napa cabbage and red pepper. One great aspect about homemade kimchi is that you can make it exactly how you like it. Kimchi is also rather easy to make, once you get the hang of it. Here is the kimchi recipe that I have been using recently, from the book Real Food Fermentation by Alex Lewin. (A book that I contributed writing to!) This is an abbreviated version of Lewin's kimchi recipe, with my minor modifications. More details on making kimchi can be found in Real Food Fermentation. 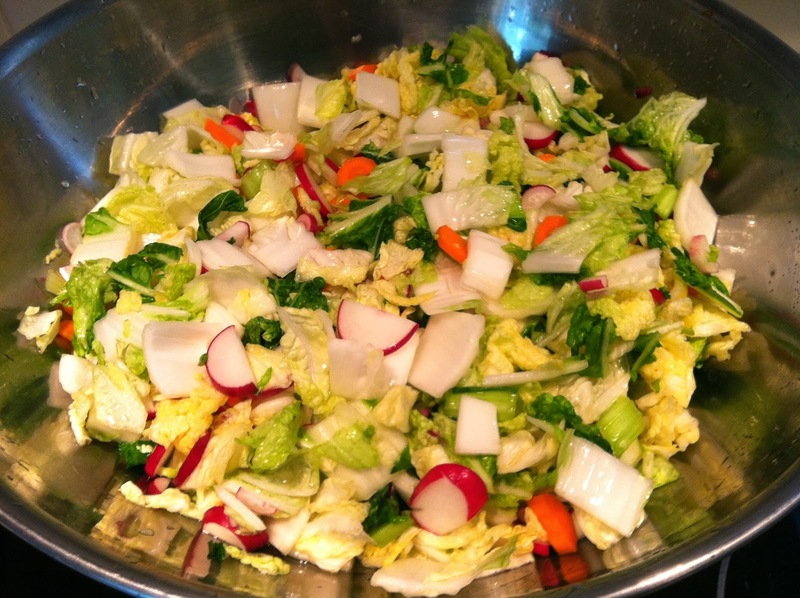 2 pounds vegetables: napa cabbage, plus optional mustard greens, bok choy, daikon, etc. In a mixing bowl, dissolve the salt in the water to make a brine. Cut up any or all of the 2 pounds of vegetables. Quarter the leafy bunches of vegetables, or cut them into 1-inch square pieces. Slice the cabbage core and include as much or as little as you like. Peel the root vegetables, and cut them into thin diagonal slices, 1 inch or so long. Put the cut vegetables into the brine and mix, using clean hands. The brine makes the vegetables more malleable. Cover the bowl to keep it free of foreign objects. After 6 hours or so (or overnight), drain the vegetables thoroughly in a colander. Taste them. They should be salty, but not unpleasantly so. If they are unpleasantly salty, rinse them or soak them in fresh nonchlorinated water, taste them again, and repeat until you are satisfied. Set them aside. Peel the garlic and the onions. Peel the ginger (the edge of a spoon works nicely). 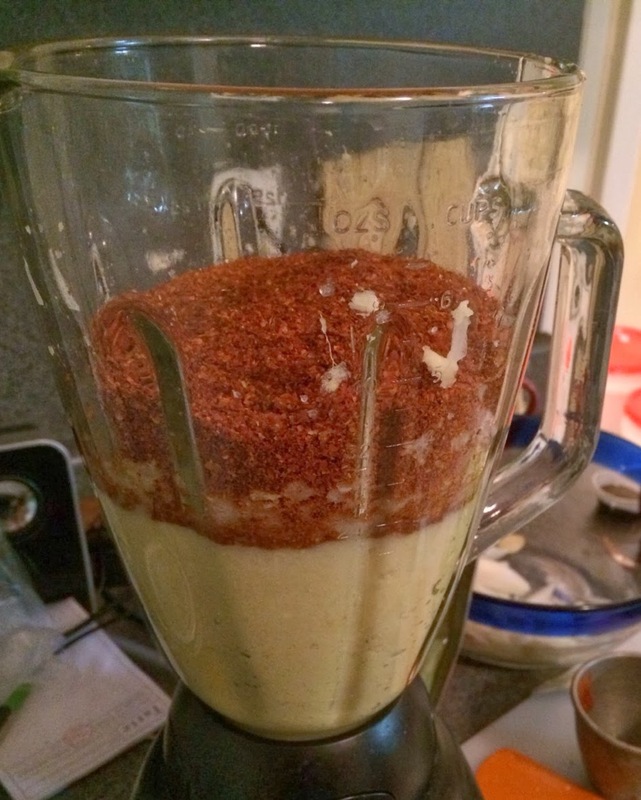 Blend the onions, garlic, and ginger in a food processor, adding enough water to allow them to blend. (Or mix them with a mortar and pestle, or chop them finely with a knife). Add the red pepper, sugar, and fish sauce, if using, to the combination from step 5, adding just enough water to keep things blending into a paste. Cut the scallions diagonally into 1-inch lengths, add them to the paste, and mix the paste with a wooden spoon. Move the drained vegetables into a large bowl, and mix them with the seasoning paste using the spoon. Taste the kimchi. If it is not salty enough, add more salt now and stir. Leave the jar on the counter at room temperature for a few days. Taste it every day or two. It should start to taste a bit "wild." When you like the way it tastes, put it in a cool cellar or a refrigerator to store, or bury it in the ground. The cooler the temperature, the slower the subsequent fermentation. As a warning, kimchi is especially smelly as it ferments! You may want to ferment your kimchi in a cupboard if you have the space to. The vegetables will shrink as they soak in the brine. I would not recommend adding more salt brine than what is listed in the recipe. Otherwise, the kimchi may turn out too salty. Make the red pepper paste according to taste. For example, I do not like my red pepper paste too oniony, so I use less onion than called for in the recipe. Enjoy kimchi with rice or noodles, or check out some of these kimchi serving suggestions from Serious Eats.